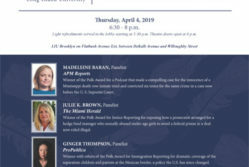 P lease join Columbia University School of Journalism for a memorial and reception to honor a former student and classmate. 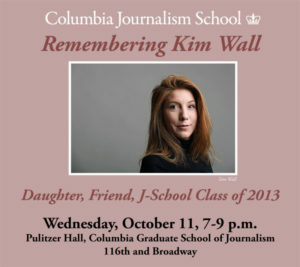 Kindly RSVP to JSchoolRSVP@columbia.edu by October 9. Columbia University is accepting gifts to establish a scholarship named for Kim. 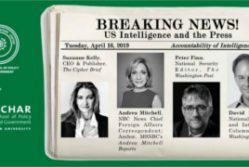 Gifts may be made online at https://journalism.givenow.columbia.edu/#. 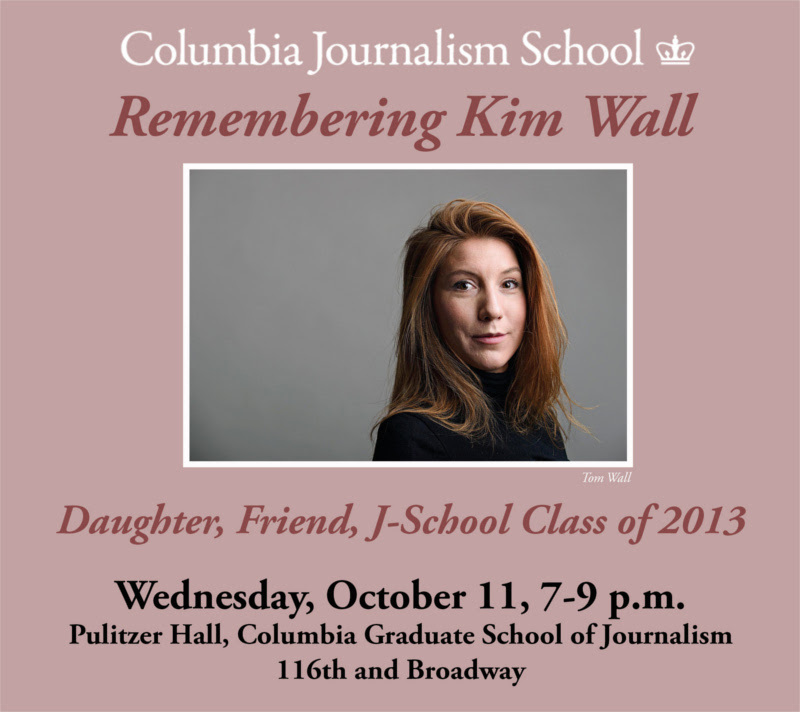 Select Journalism Annual Fund Scholarships, and add Kim Wall to the “in memory” section. Gifts may also be made by mailing a check to Brandon Glosser, Columbia University Graduate School of Journalism, 2950 Broadway, New York, NY 10027, and putting “Kim Wall Scholarship” in the memo field. For more information, please call or email Brandon at bg2419@columbia.edu or 212-854-4743.